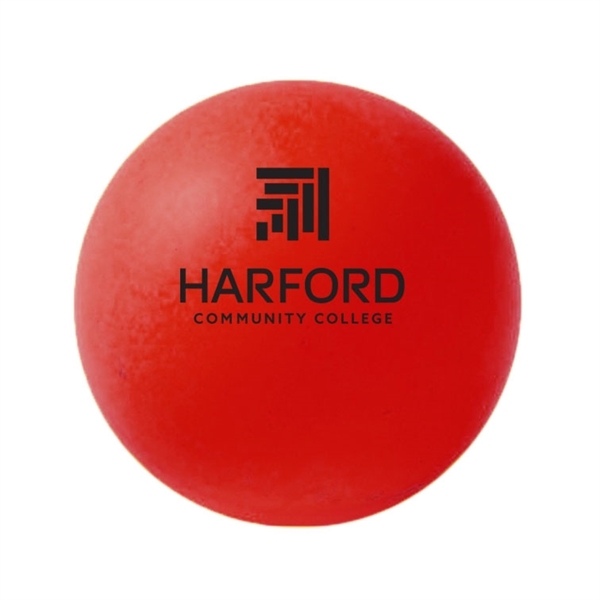 Put your brand on a back and forth trip through game rooms, break areas and recreation centers with these imprinted ping pong balls. 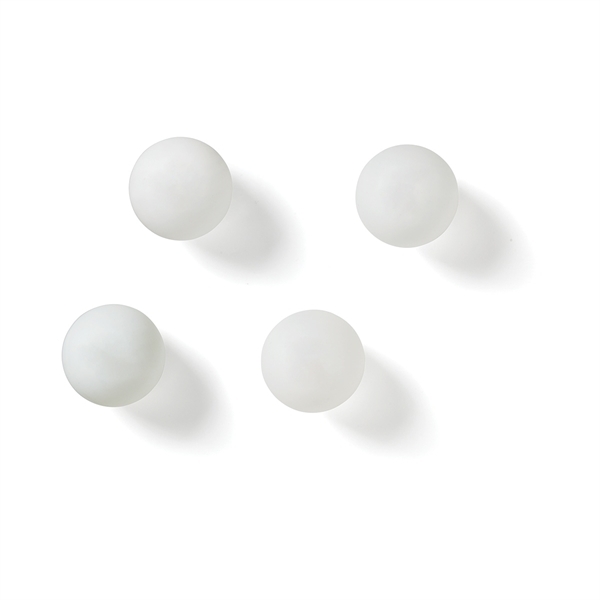 These are superior quality 40 mm ping pong balls that are perfect for league-style play or just tapping the ball around. And, since you don't have to share the ball space with a manufacturer's imprint, your organization's name and logo are sure to stand out. 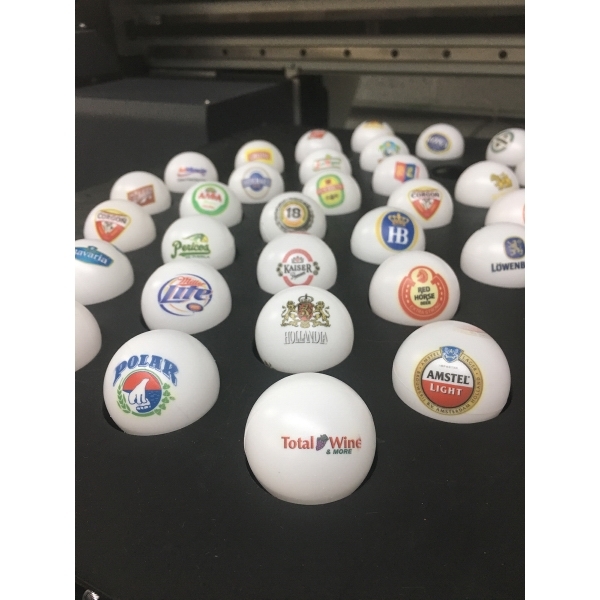 Get the ball rolling on your next promotional campaign today!We will custom imprint these Ping Pong Balls and Table Tennis Balls with your logo, text, or custom artwork!Questions? Call us at 1-800-958-4332! High Quality Ping Pong Balls, ideal any event, graduation, parties, fraternity, sorority, beer pong tournaments. Imprinted with your custom FULL COLOR imprint in one location. Performance Quality for Active Play. (no manufacturer's imprint) Bulk Packing. Sequential numbering available at additional charge. 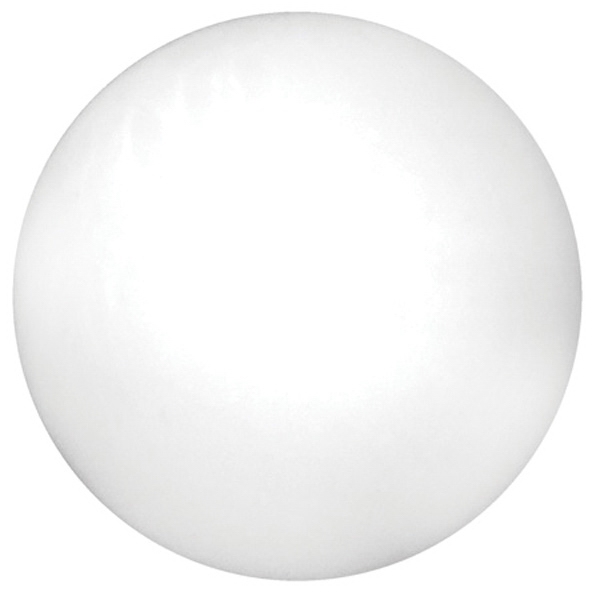 40 mm Diameter.We will custom imprint these Ping Pong Balls and Table Tennis Balls with your logo, text, or custom artwork!Questions? Call us at 1-800-958-4332! 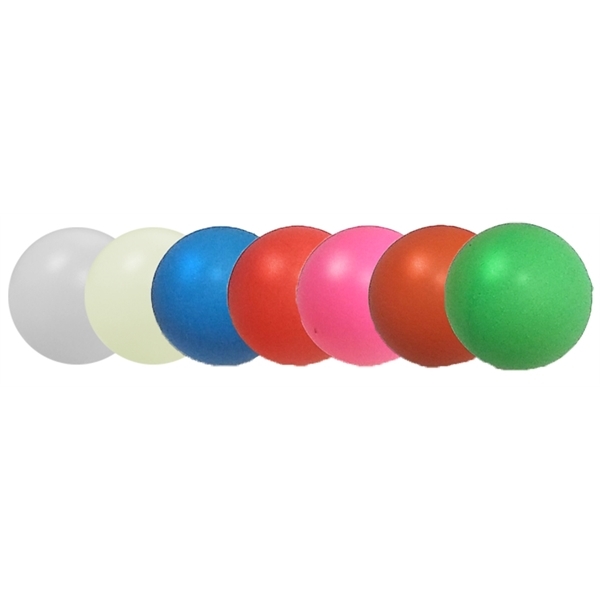 Add a splash of color to any ping pong game with the promotional power of these color ping pong balls. Each 40 mm ball is of superior quality for the best game play. 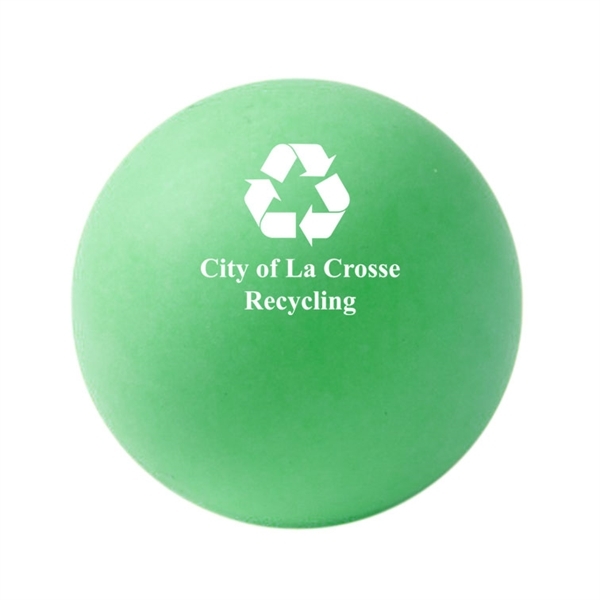 And, you don't have to share valuable imprint space with the manufacturer - your brand will be the only one that appears on these balls. Make these a fun addition to your corporate game room or hand them out at trade shows! 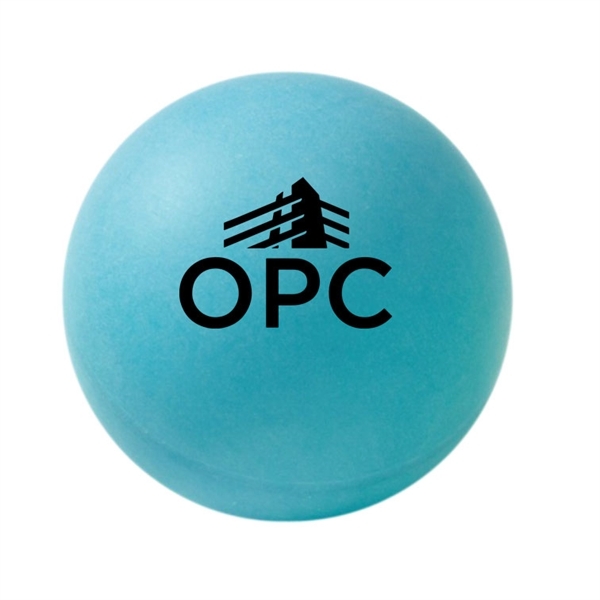 These ping pong balls are sure to please!We will custom imprint these Ping Pong Balls and Table Tennis Balls with your logo, text, or custom artwork!Questions? Call us at 1-800-958-4332! Custom Printed Ping Pong Balls. White and six other colors are available including glow in the dark! 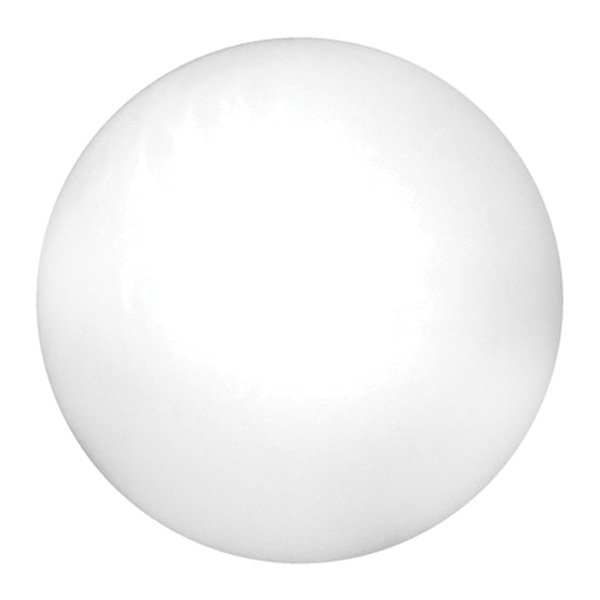 Our promotional air-filled ping pong balls are perfect for non-regulation table games and carnivals. 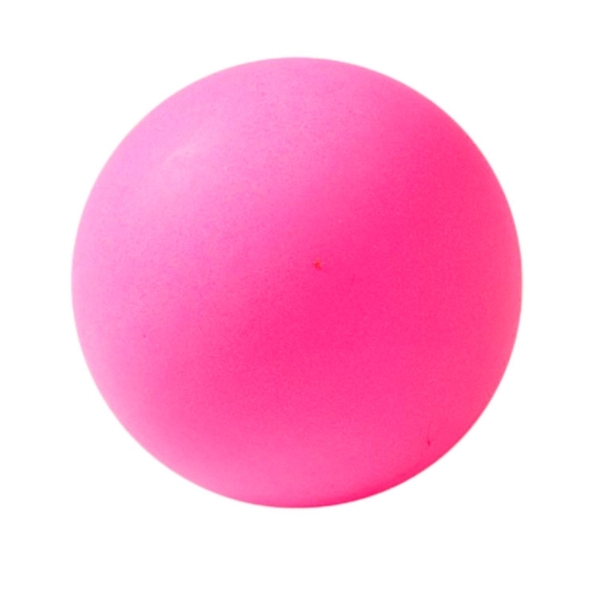 The ball size measures 1 1/2" in diameter. Add your logo for an excellent opportunity to increase brand recognition. There is a plastic tube and plastic jar available. Promote company fun during upcoming fundraisers, fairs, festivals and much more by ordering this terrific item today! 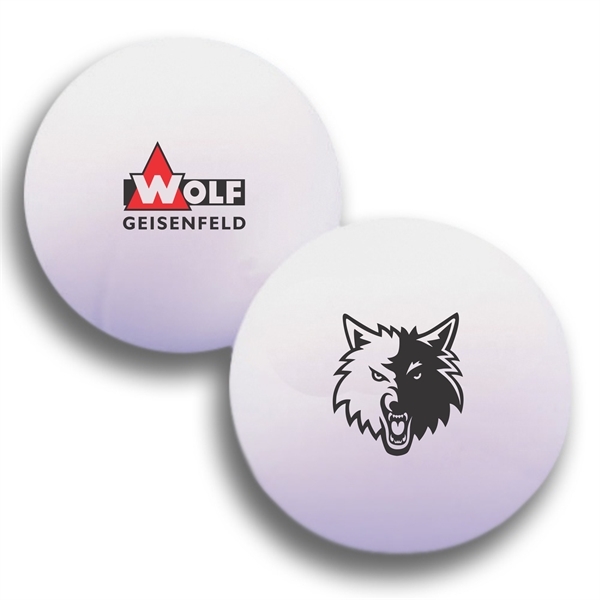 We will custom imprint these Ping Pong Balls and Table Tennis Balls with your logo, text, or custom artwork!Questions? Call us at 1-800-958-4332! Ping Pong Balls and Table Tennis Balls with a custom imprint! These Ping Pong Balls and Table Tennis Balls can be custom printed with your logo, name, web address, phone number or custom design. 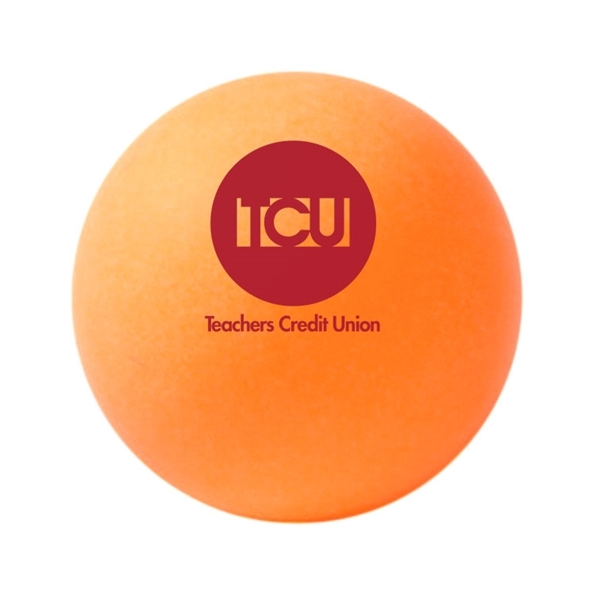 Custom printed Ping Pong Balls and Table Tennis Balls are a great way to get your message out there. 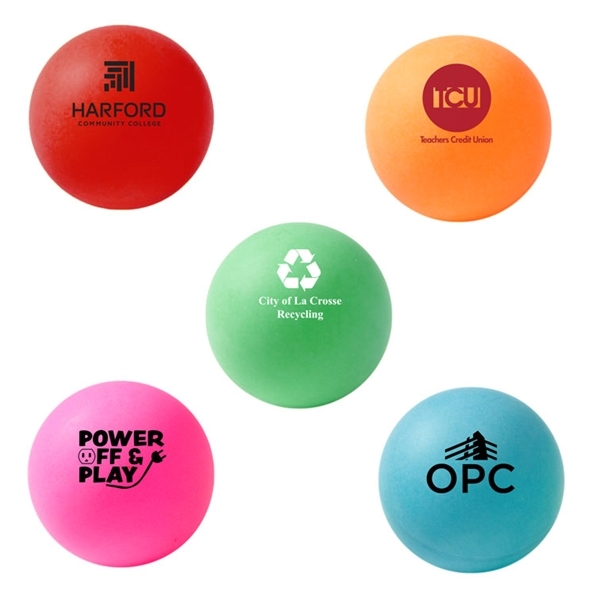 Use imprinted Ping Pong Balls and Table Tennis Balls as a trade show giveaway, promotional mailing to promote your company, product, message or brand. 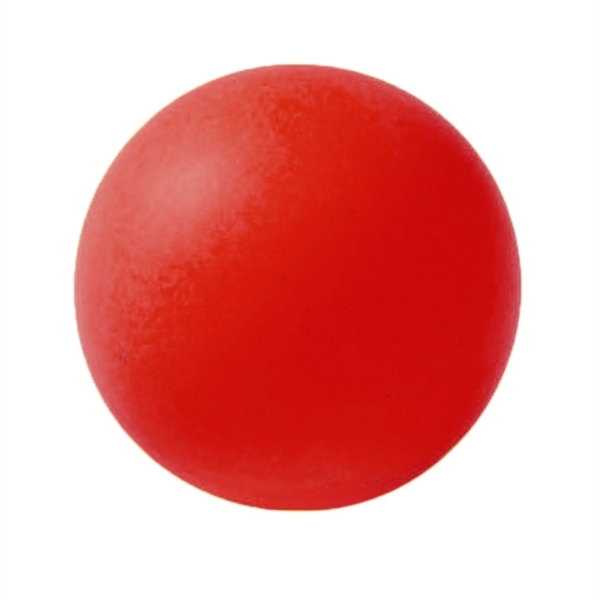 These Ping Pong Balls and Table Tennis Balls can be used as a fund raising item for charity events, high school sports booster clubs or sold in school stores. 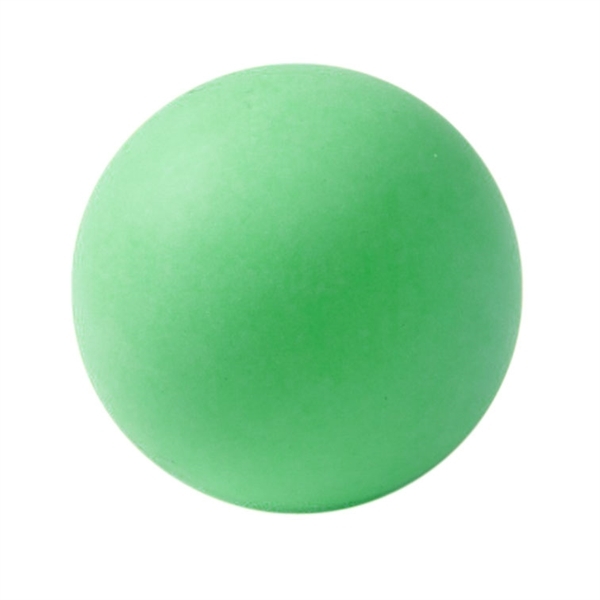 Custom imprint Ping Pong Balls and Table Tennis Balls for birthday parties, Anniversaries or Graduation parties. 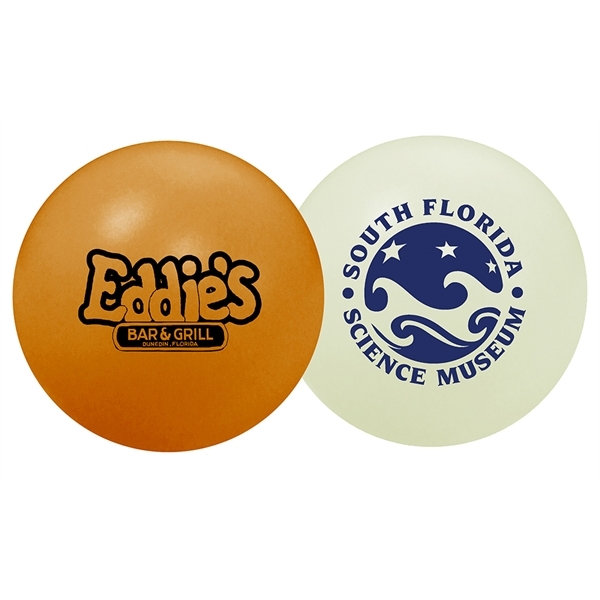 Items like these Ping Pong Balls and Table Tennis Balls are used for Company Picnics, Weddings, Bar Mitzvahs and Bat Mitzvahs, Parties, Family Reunions, Fund Raisers and unique mailings. Ever search for a place to buy custom printed Ping Pong Balls and Table Tennis Balls? Now you know that whatdoyouneed.com has what you're searching for! Thousands of otherCustom Imprinted, engraved, silk screened or embroidered items are here for you at whatdoyouneed.com. 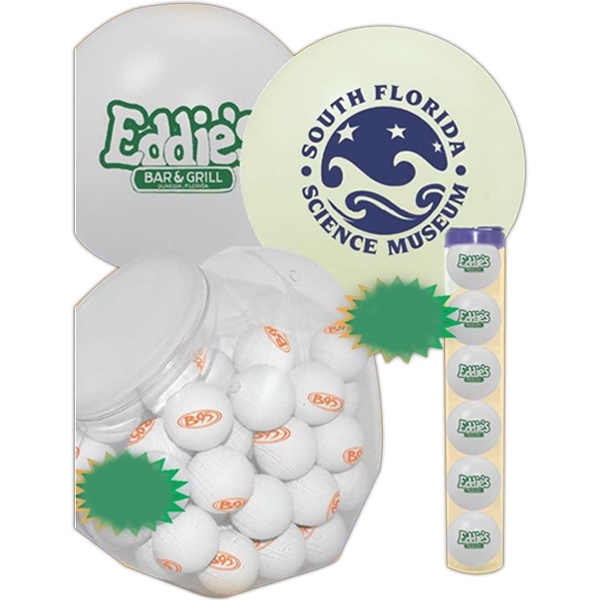 Ping Pong Balls and Table Tennis Balls used as a handout or give-away are always appreciated by the recipient and your logo or advertising message is there for repeated exposure to your clients or potential customers. 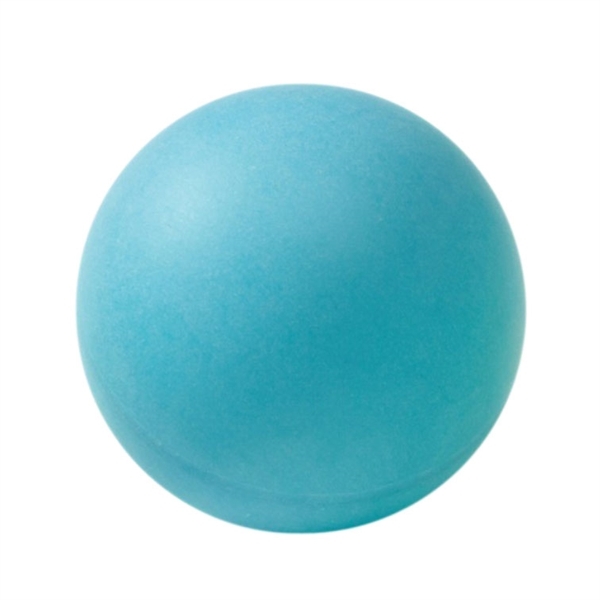 Ping Pong Balls and Table Tennis Balls and other promotional items like them are used by small companies and huge corporations to help promote their brand, products and services. Promotional items are a proven marketing device. Just look around an office desk, car or closet and you will see printed promotional items like pens, ice scrappers, shirts, hats and jackets, all screen printed or embroidered with company and organization logos. There's a reason these people advertise on these promotional items; these items work! 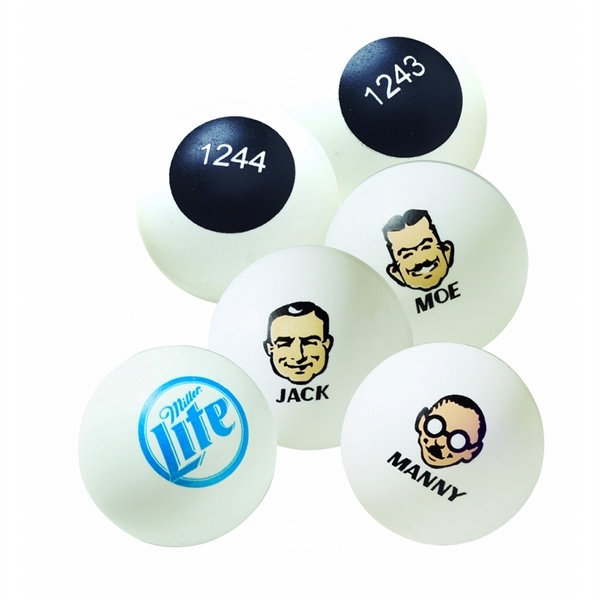 If you're looking for custom printed Ping Pong Balls and Table Tennis Balls or any other type of promotional products, please call whatdoyouneed.com at 1-800-958-4332. 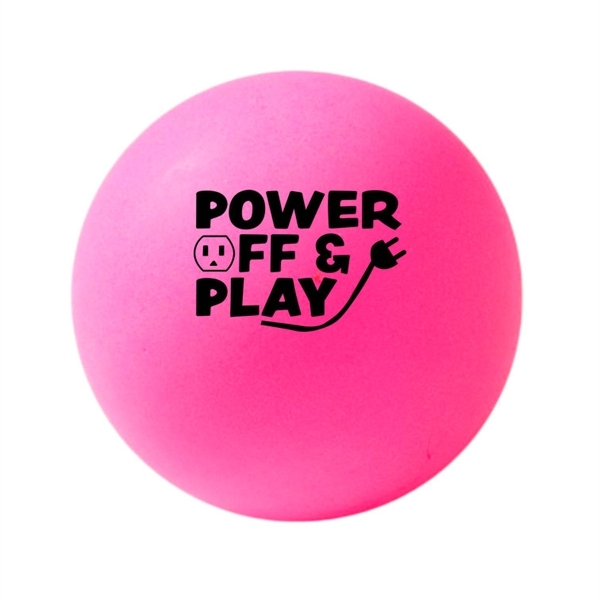 Ping Pong Balls and Table Tennis Balls, Custom Imprinted with your logo!